As Your Excellency has doubtless discerned, AL’s reduction of the moral law to a “general rule” is the rhetorical device by which “exceptions” to the rule are introduced in “certain cases” involving what AL euphemistically describes as an “irregular union” or “irregular situations” (78, 298, 301, 305 & note 351)—meaning, of course, those who “are divorced and remarried, or simply living together (297)” in a state of continuing public adultery or simple fornication. Even the teaching of the very Pope that Francis canonized is subjected to a devious reductionism. In line with all of Tradition, John Paul II affirmed in Familiaris consortio that the divorced and “remarried” cannot be admitted to the sacraments without a commitment to abstain from further adulterous relations: “Reconciliation in the sacrament of Penance, which would open the way to the Eucharist, can only be granted to those who take on themselves the duty to live in complete continence, that is, by abstinence from the acts proper to married couples” (Familiaris Consortio, 84). Yet, as Your Excellency rightly objects, AL systematically omits any reference to John Paul’s affirmation of the Church’s constant teaching in this regard. Rather, AL relegates it to a footnote wherein an absolute moral imperative is falsely presented as the mere “possibility of living ‘as brothers and sisters’ which the Church offers.” In the same footnote even this gross misrepresentation of the authentic Magisterium is undermined by the suggestion (based in turn on a flagrantly misleading quotation of Gaudium et spes) that “In such situations, many people… point out that if certain expressions of intimacy are lacking, ‘it often happens that faithfulness is endangered and the good of the children suffers.’” As if “intimacy” were morally required to ensure “faithfulness” to a partner in adultery! This statement, reflecting the entire tenor of the document, is obviously nothing less than a license for the “pastoral” exoneration of habitual public adultery or cohabitation based on the subjective self-assessment of objective mortal sinners. These people would then be admitted to the sacraments, without a prior amendment of life, in “certain cases,” following a local priest’s “pastoral discernment filled with merciful love, which is ever ready to understand, forgive, accompany, hope, and above all integrate (312)” people living in immoral sexual unions. (Cf. 305 & note 351). Among more than 5,000 bishops and more than 200 cardinals, Your Excellency stands alone in protesting publicly the unthinkable abuses to which this disgraceful document—utterly without precedent in the bi-millennial history of the papacy—undeniably lends itself. Even the few among your fellow prelates who have addressed the crisis AL has provoked have tried to deny its clear intendment, so evident in Chapter 8. They propose emasculating “interpretations” in “continuity with the Magisterium” amounting to virtually the opposite of what AL’s most problematic passages assert repeatedly in different ways. Others among your brethren, unwilling to deny the obvious, have seriously proposed that Francis has promulgated nothing more than inconsequential “personal reflections” he does not expect anyone to heed. But even this objection focuses on formalities such as tone and style, rather than admitting openly that AL cannot belong to the Magisterium for the simple reason that its assertions, given the meaning of words according to their ordinary signification, cannot be reconciled with the Church’s authentic teaching on marriage and sexual morality. 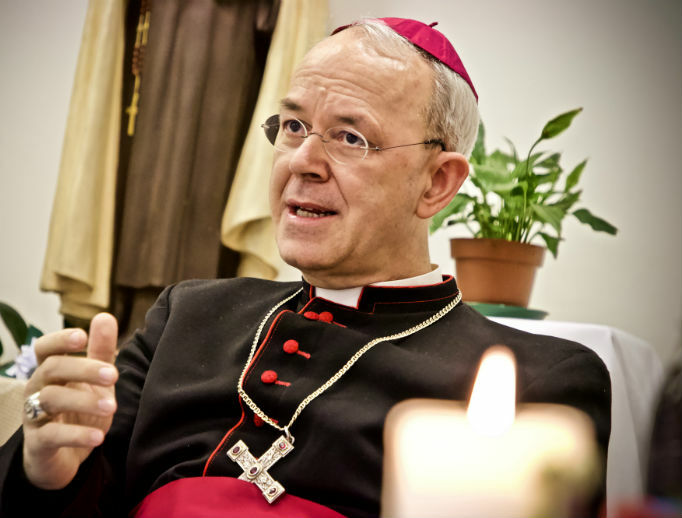 In light of these considerations, however, we must in candor raise these questions for Your Excellency’s consideration: Is it enough to call, as you do, for “an authentic interpretation of AL by the Apostolic See” that would reaffirm Familiaris consortio 84 and the bi-millennial sacramental discipline it defends? Is it not perfectly clear that such an authentic interpretation is precisely what AL was devised to preclude, and that therefore it will never be forthcoming during this pontificate (barring a miraculous turn of events)? And, finally, is it not also perfectly clear that the problems with AL go far beyond the ecclesial status of the divorced and “remarried” to an attack on the very foundations of the objective moral order, rhetorically reduced to a set of rules from which an actor may be excused in “certain cases”? For all these reasons, we implore Your Excellency to do everything in his power to persuade his brethren in the episcopacy—above all the cardinals, who are bound by oath to lay down their lives for defense of the Faith—to mount concerted and decisive public opposition to the destructive novelties of Amoris laetitia, explicitly identifying them as such, warning the faithful against them, and respectfully petitioning the Pope for their immediate correction or the total withdrawal of the catastrophic text. The final battle is surely underway. And woe to the shepherds who leave the sheep to defend themselves in its midst.